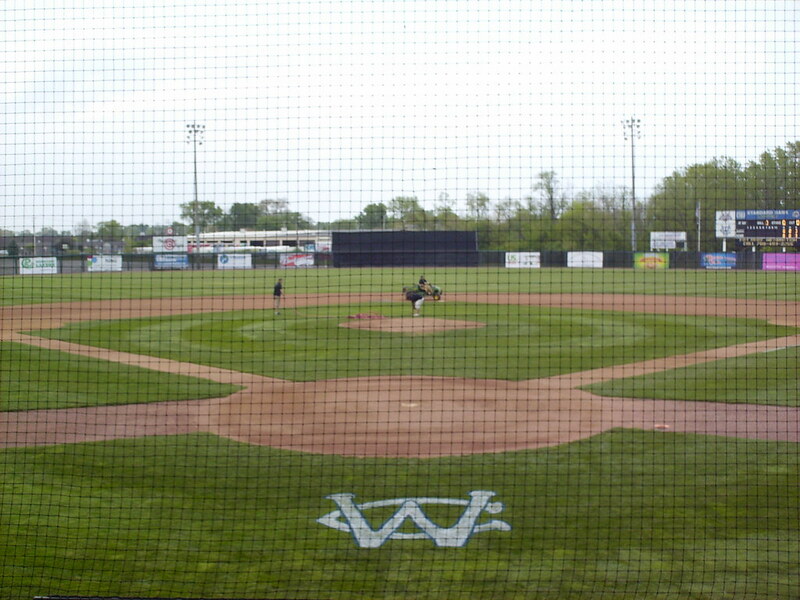 The view from behind home plate at Ozinga Field. 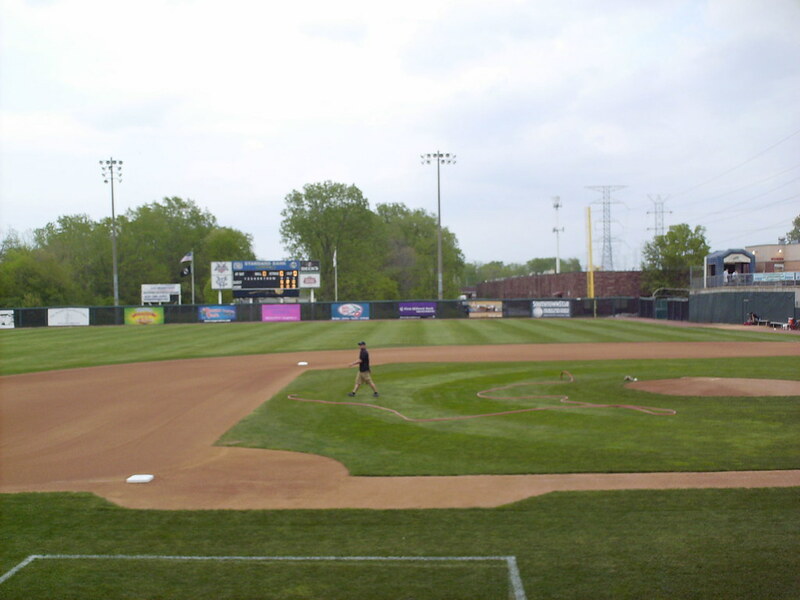 The pressbox and grandstand at Ozinga Field as seen from the right field corner. 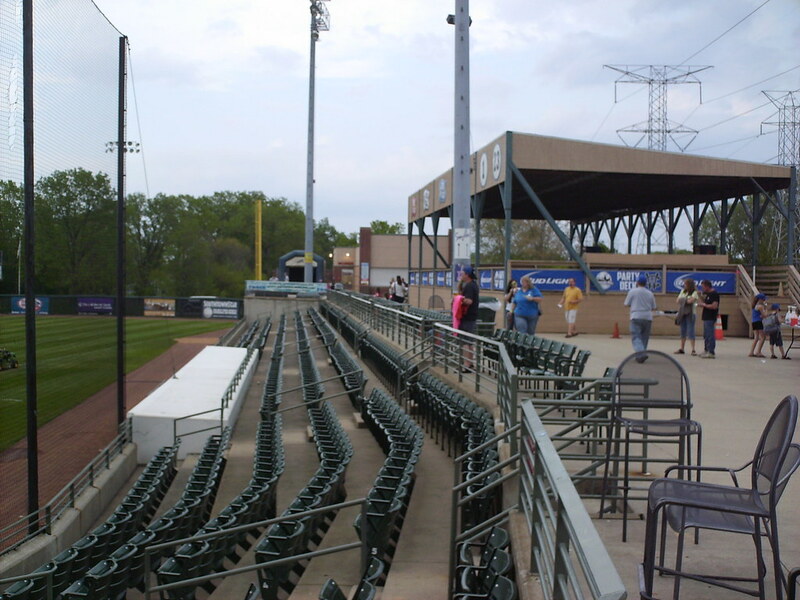 The third base grandstand features a steep upper deck on top of a few rows in the main seating bowl. 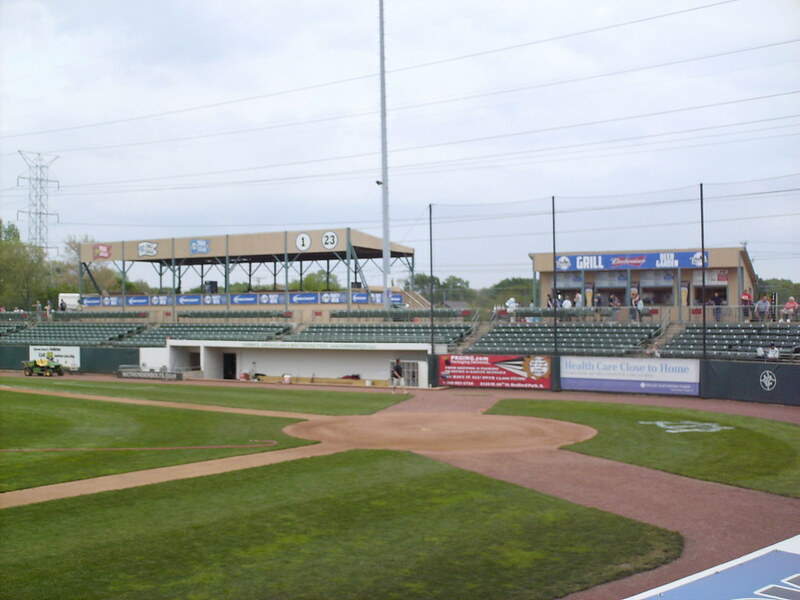 The first base grandstand bears little resemblance to the third base side with an open concourse in place of the upper deck. 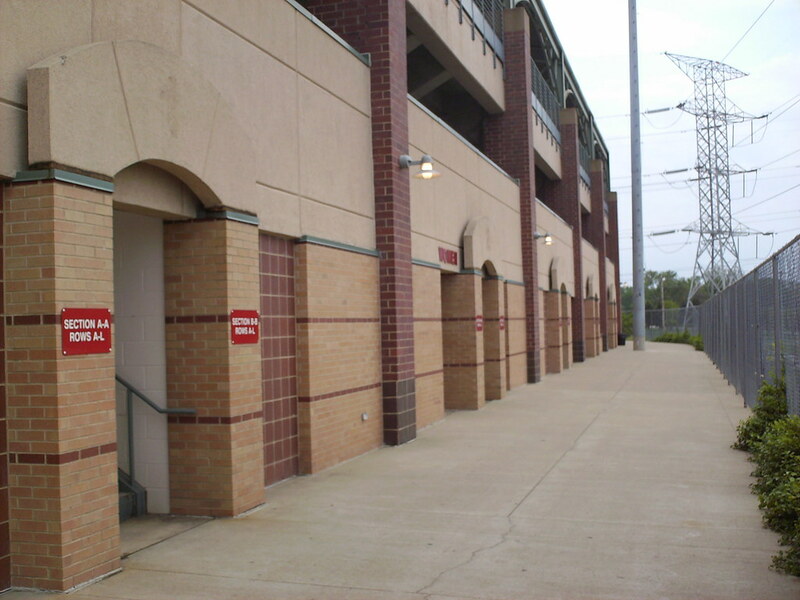 Retired numbers and championship pennants on the facade of the party deck on the first base concourse. 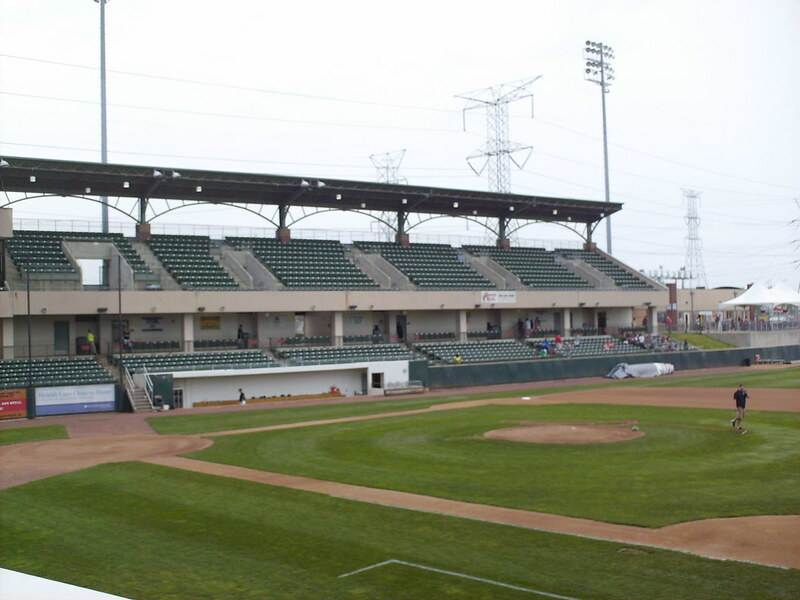 The upper deck and roof at Ozinga Field. 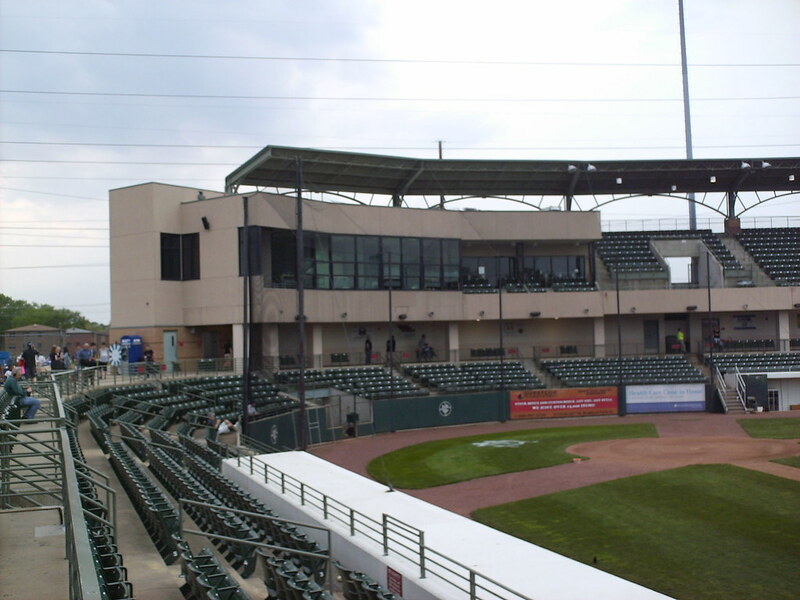 A single luxury suite sits beside the pressbox in the building behind home plate. 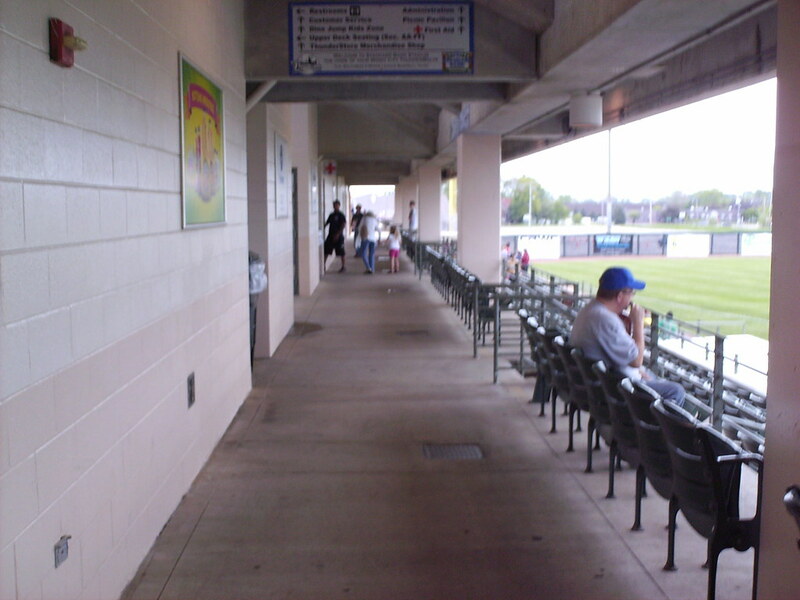 The outer concourse. 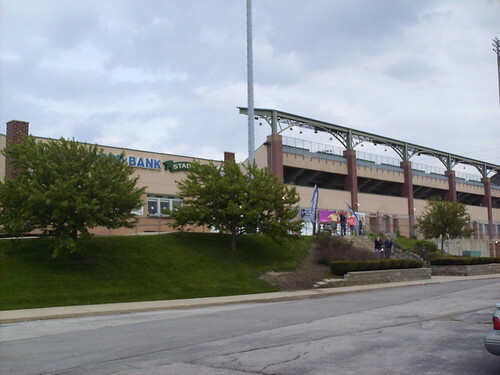 The steep grade of the upper deck is due to the fact that the park's footprint was limited by the power lines running directly behind the stadium. 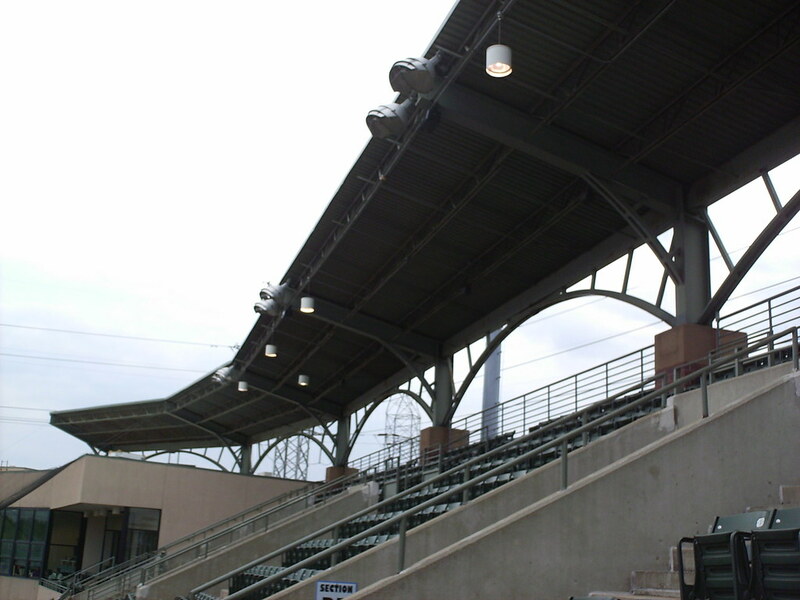 The concourse running underneath the upper deck on the third base side of the park. 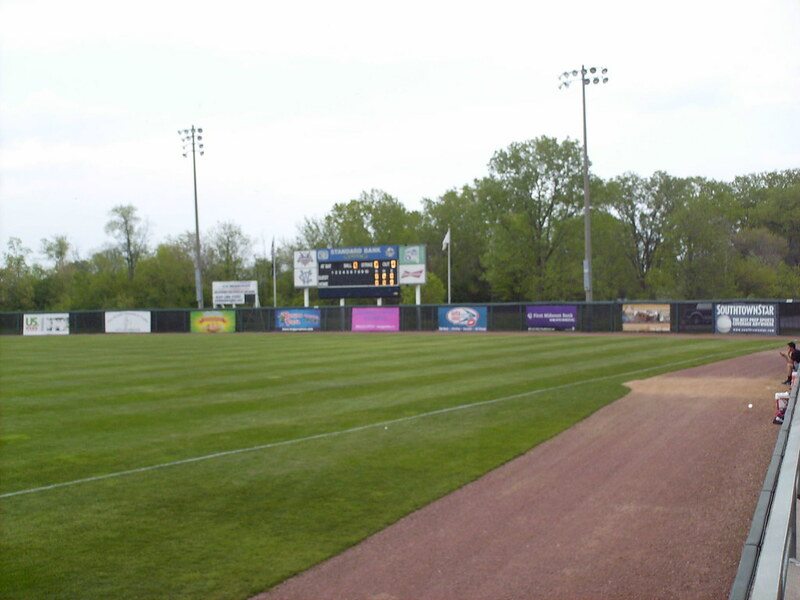 The scoreboard and fairly uniform outfield wall. 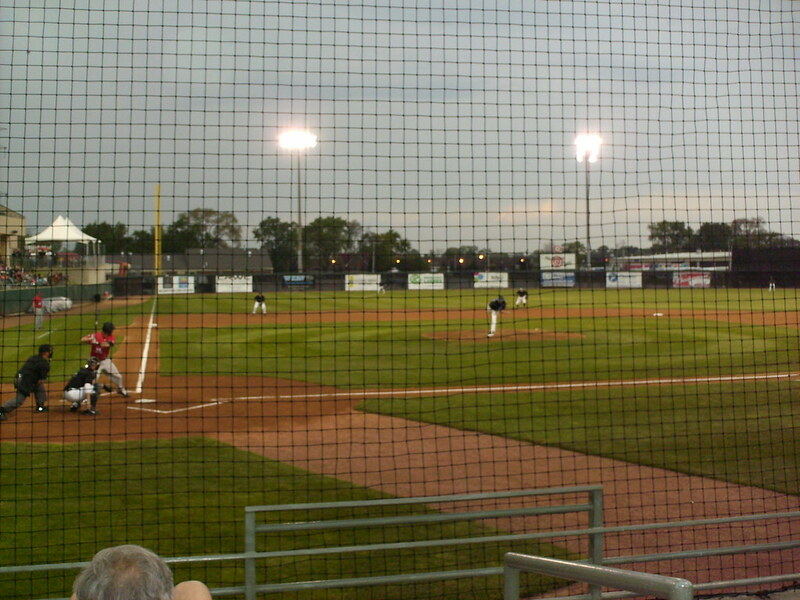 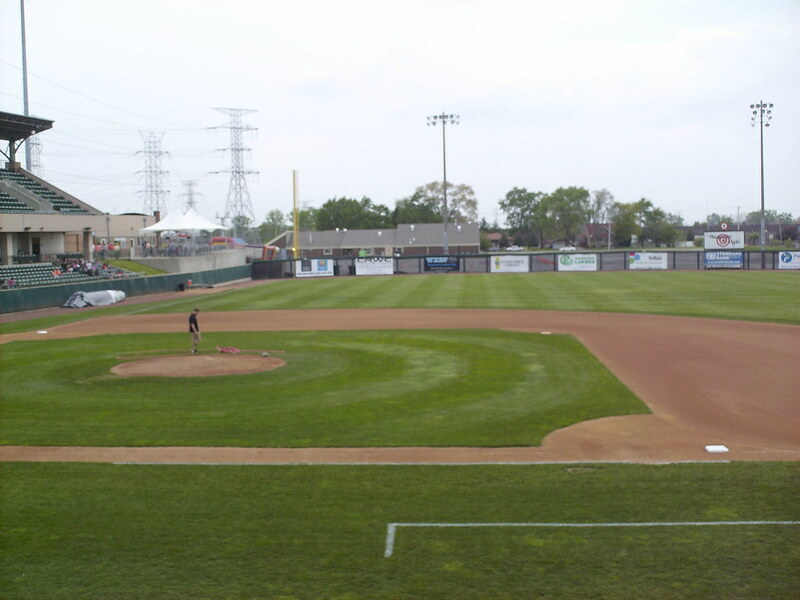 The Windy City ThunderBolts on the field during a game at Ozinga Field.